Vox Cantab is lucky to work with several talented accompanists. David, Luke, Tim, Ian, and Will are introduced below. Graduating in 2017 from Robinson College, Cambridge, David is now Assistant Organist at FUMC Lubbock, in Texas, USA. Prior to his undergraduate studies in Music, David held positions at Croydon Minster and Trinity School, where he received sponsorship from Steinway & Sons. The piano has afforded David masterclasses with Vanessa Latarche, Gordon Fergus-Thompson, and Arnon Erez, and he has studied the organ with Andrew Cantrill, Tom Little and Stephen Farr. In the US, David is busy accompanying and directing numerous university, church, and community choirs, while pursuing a Masters degree in Choral Conducting. Luke is an accomplished organist, countertenor, and composer, with a particular passion for music that has arisen out of the liturgical tradition. 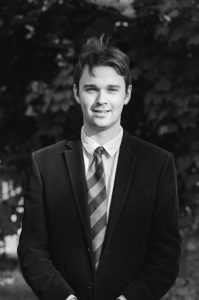 He was Organ Scholar of Portsmouth Cathedral from 2015 to 2016, and is now one of two Organ Scholars at Gonville and Caius College, Cambridge, where he is reading for a degree in Music. In addition to accompanying Caius Choir for services, CD recordings, and concert tours, Luke regularly gives recitals – recently in Portsmouth Cathedral, Coleshill, Folkestone, and as far afield as Kuala Lumpur. He has studied the Organ with Dan Hyde, Tom Bell, and currently with William Whitehead, and has sung and played with Vox Cantab since 2016. 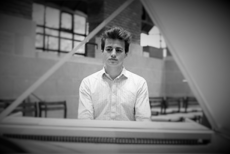 Luke is an active composer of choral and chamber music, and is currently Composer-in-Residence at the Cambridge Corn Exchange, writing for visiting artists such as percussionist Colin Currie, as well as orchestras and education projects. He also curates the Cambridge Young Composer Network. Ian was awarded the Help Musicians UK Accompanist’s Prize in the Kathleen Ferrier Awards, and the Royal Overseas League Music Competition Accompanist’s Prize in 2015. Previously Ian had been named winner of the Gerald Moore Award, and the Help Musicians UK Accompanist’s Prize (Maggie Teyte Prize). Ian’s recent engagements have included concerts at Wigmore Hall, Queen Elizabeth Hall, and St John’s Smith Square, as well as at the Oxford Lieder Festival, Ryedale Festival, Buxton Festival, and in France, Austria, Corfu, and Malta. He has worked with artists such as Christopher Purves, Susan Bullock, Louise Alder, and Soraya Mafi, and has performed on BBC Radio 3’s In Tune on numerous occasions; he recently appeared on Proms Extra on BBC 2 with Ailish Tynan. Ian, originally from Oxfordshire, read Music at Selwyn College, Cambridge, graduating with a double First in 2011. 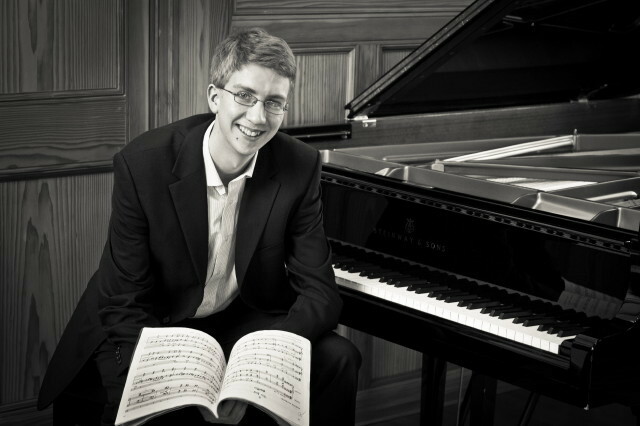 Following postgraduate studies at the RCM with Simon Lepper and Roger Vignoles, Ian was the Lord and Lady Lurgan Junior Fellow in Piano Accompaniment. As a répétiteur Ian has worked with Cambridge Handel Opera, Samling Academy Opera, and Ryedale Festival Opera, and as an orchestral pianist he has appeared with the LPO, Philharmonia, and Orchestra of the Royal Opera. Ian is a Britten-Pears Young Artist and a Samling Artist. Ian gained the Fellowship Diploma of the Royal College of Organists in 2012; he is Visiting Organist at St Mary’s, Merton Park, and a regular deputy at St Bride’s Fleet Street, Lincoln’s Inn, and St Martin-in-the-Fields. Ian’s recent organ performances include a late-night recital of Bach in the Ryedale Festival. Timothy Parsons took up the post of Organ Scholar at Winchester Cathedral in September 2014. He was a chorister at Guildford Cathedral and was educated at Charterhouse, where he studied the organ with Mark Blatchly. He subsequently held the organ scholarships at Hereford Cathedral and then at Selwyn College, Cambridge. He graduated with a starred first in Music in 2014, being awarded the Tony Bland and George Roe prizes for outstanding academic and instrumental performance. While at Selwyn, he accompanied the Chapel Choir in various tours, concerts and recordings under the direction of Sarah MacDonald. During his time at Cambridge, Timothy also held the organ scholarship for King’s Voices, the mixed-voice choir of King’s College Chapel. He currently studies the organ with Stephen Farr and obtained his prize-winning FRCO in 2013. He has given organ recitals across the UK in venues including the cathedrals of Gloucester, Hereford, Ely and St David’s (as part of the 2011 St David’s Cathedral Festival), Ludlow Parish Church, and St John’s College, Cambridge. In August 2013 he was awarded Second Prize in the Northern Ireland International Organ Competition, and the following summer was Organ Scholar for the Charles Wood Festival and Summer School in Armagh, directed by David Hill, during which he played for a broadcast of choral Matins on BBC Radio Ulster. In September 2016 he took up the post of Assistant Director of Music at Exeter Cathedral. William Mason received his earliest musical training as Head Chorister at Gloucester Cathedral under the direction of Andrew Nethsingha. He held organ scholarships at Cheltenham College and Sherborne School & Abbey before being awarded an organ scholarship to Royal Holloway, University of London, where he studied for a degree in Music. As an undergraduate, William played the organ live on BBC Radio 3, recorded for Hyperion Records, and toured the USA, France, and the Baltic States with the Choir of Royal Holloway. Postgraduate study in choral conducting was undertaken at St Catharine’s College, Cambridge, where William received guidance in choral conducting from Christopher Robinson and regularly directed the Choir of Downing College, Cambridge, including a tour to Toronto. William has studied the organ with Thomas Trotter and improvisation with David Briggs and Martin Baker. Recent recital engagements have included Cheltenham College, Downing College (Cambridge), St Bride’s (Fleet Street), Westminster Cathedral, and St John’s College (Cambridge). He has worked as an accompanist on the Eton Choral Courses and was Assistant Musical Director for the National Training Choir of Wales Easter Course, 2017. William has held positions at Repton School and Bradfield College and currently holds organist posts at St Columba’s Church, Knightsbridge and St Sepulchre-without-Newgate.